Because expensive that is what this foundation is. This is quite possibly the most expensive foundation I have ever tried. It retails for a whooping €53.54. I bought mine with a 30% discount voucher though and currently Douglas is having a 25% off all makeup so that could possibly make this foundation a bit more attainable. Without a gift voucher or a sale going on, I would advise against buying this, because it is just too much money. Since this is a YSL foundation you know still be packaged well. That is one thing all luxury brands get right. 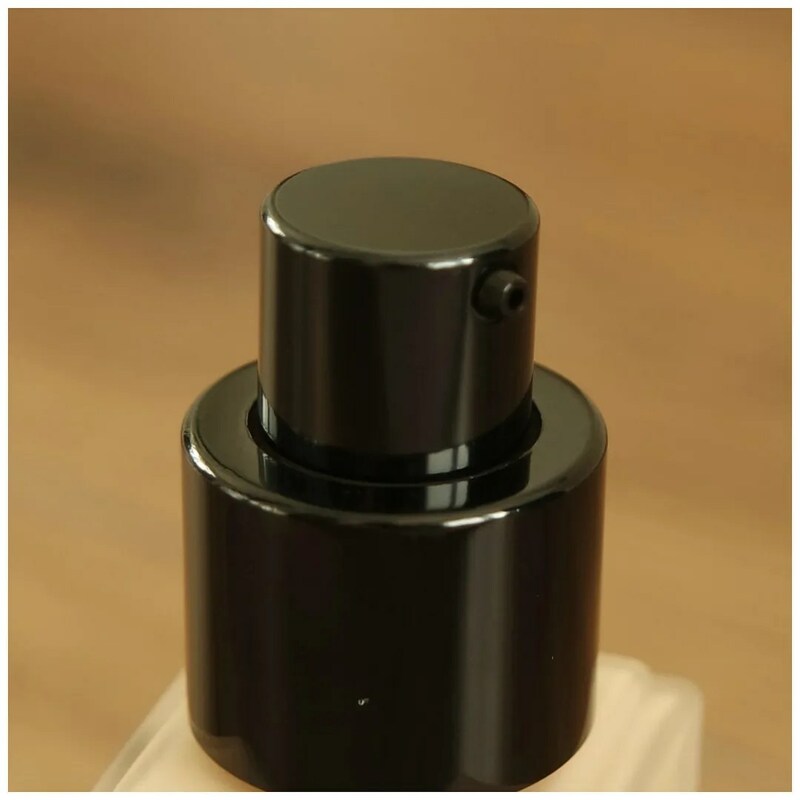 The bottle is a pretty matte glass bottle with a pump and minimal branding. The outer box is YSL’s signature shiny gold. In terms of shade range this foundation isn’t the best. It has only 16 shades, but they do range between neutral, warm and cool toned, which is a start. I always appreciate a foundation that comes with a pump. This one has a really nice one. It dispenses just the right amount of product. You don’t need much of this product and so a pump that would be too generous would mean you are left with a bunch of product. I find that with this pump I get exactly the right amount for a full face application. This foundation is a longwear foundation that is supposed to have a matte finish and a full coverage. I don’t find this foundation all that matte though. It looks quite dewy when you first apply it and it settles into more of a satin finish on my skin. I have dry/ dehydrated skin and on my skin this looks super natural, which you will see in a minute. Also the full coverage statement I do not agree with. I only use one pump of this and apply it with a damp makeup sponge and I find this sheers out into quite a thin layer on my skin. Yes, it has good coverage but if you don’t use too much, you can also makeup this look a lot more natural. What I do have to say about this foundation though is its ease of use. This blends in so easily. 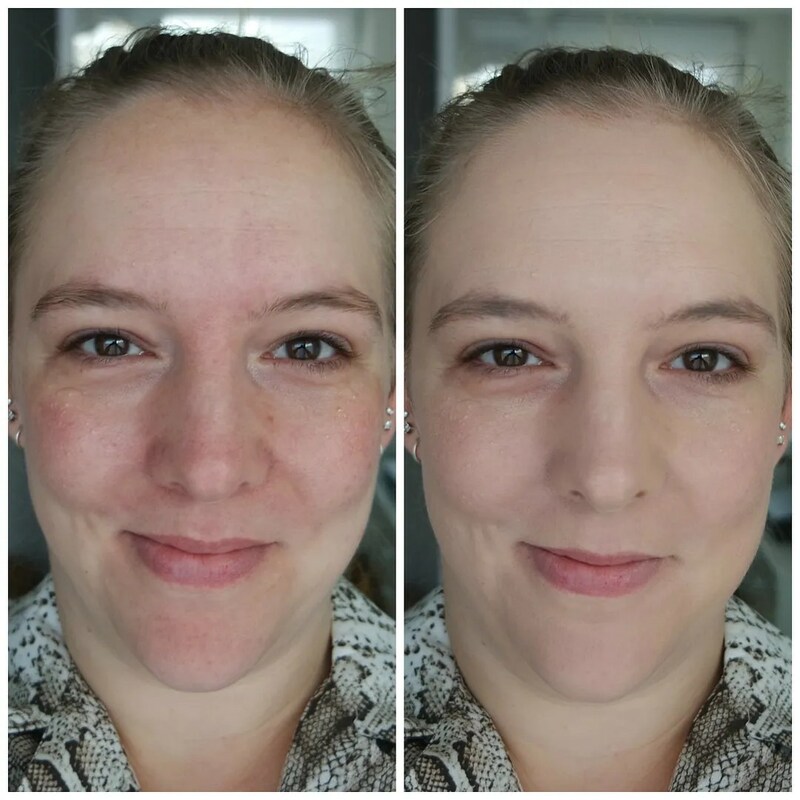 I have tried other higher coverage foundations and sometimes they take some time to blend and become one with the skin. This foundation has no issue with that. And did I already mention that the shade is also spot on? 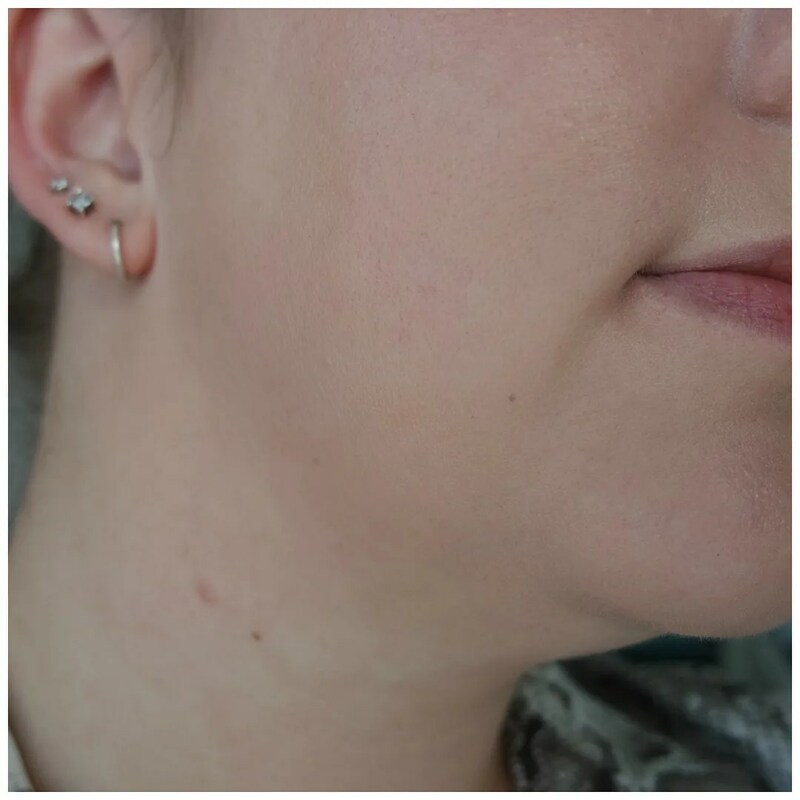 I always struggle finding my right shade as I am quite pale, but as you can see on this neck test, this foundation is a great match on me. 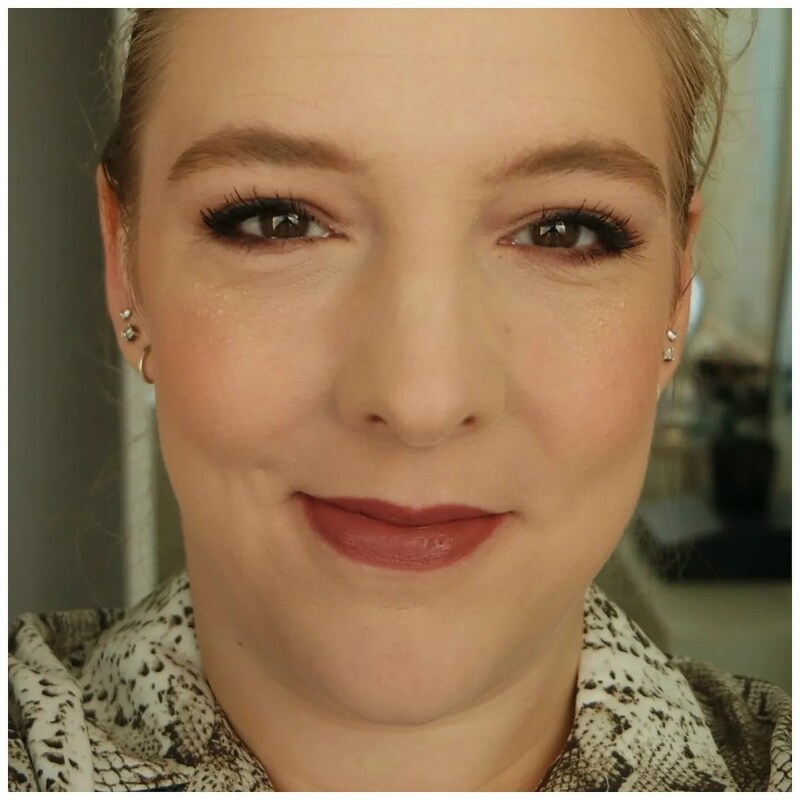 What helped with finding my right shade is the fact that the store gave me a little bit of the product in a pot, so I could try it at home, full face, before committing to the actual product. A great service, that helped me to try the foundation twice before actually breaking into the actual bottle. So what does this foundation look like on? 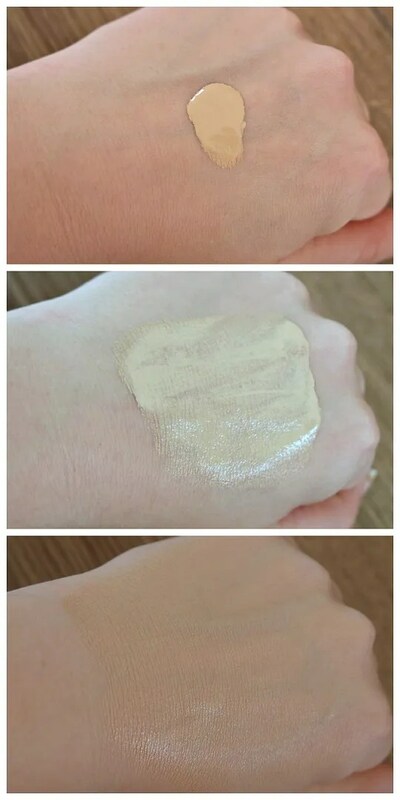 It looks like skin, has great coverage and stays put all day long. On the left you can see my bare face, with as you can see quite a bit of redness now that winter has kicked in. On the right is my face with the foundation applied but nothing else done. As you can see, it evens out my skin tone very nicely and it doesn’t look fake of makeuppy at all. Not only does it make my skin flawless and like a better version of itself, it also lasts nearly the 24 hours this product is promised to last. I wore this in the week running up to Christmas. I wore it work, dance class and 2 different (and very sweaty and late night) Christmas party. One day I put this foundation through a solid 17 hours of wear and it still looked great. My concealer has worn off and creased, but my foundation was still on. I have never tried a foundation that truly delivers on that claim. 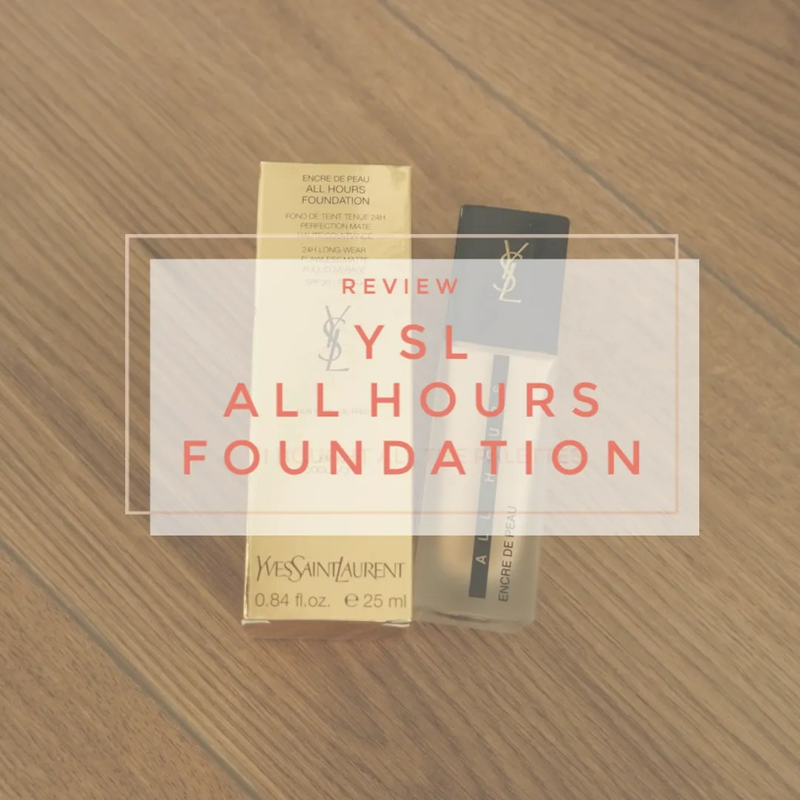 The YSL All Hours foundation is truly a great foundation. It is certainly one of the best foundations I have tried to date. To me, it is worth the price, because it gives me everything I need in a foundation and in a shade that is a great match. I only discovered this towards the end of the year and I am glad I found it. I will certainly be featuring this in my 2018 makeup favorites (which is coming up next Wednesday!). What luxury foundation is your favorite? 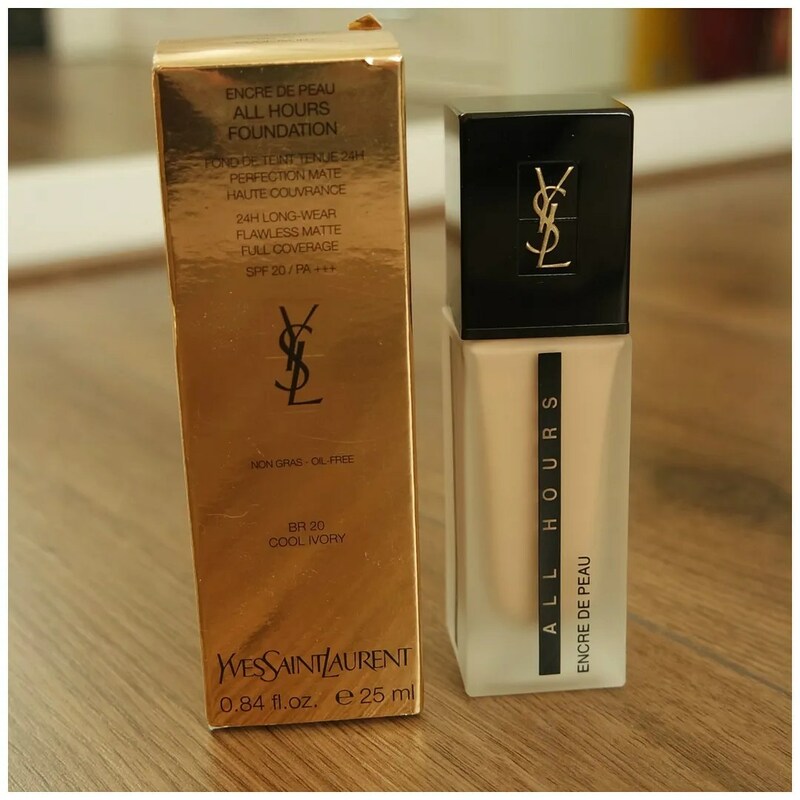 I used to be addicted to the Hourglass stick but now my YSL All Hours has definitely taken my holy grail spot!! I know! It is great right?